“You all know that my wife and I have given 10 percent of our gross income to this church since day one,” my pastor reminded the congregation one Sunday. 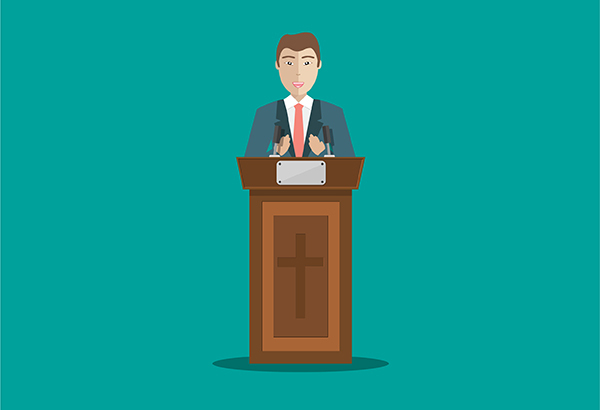 While this might seem like a simple empty-nester realization, or the commendable efforts of a spiritual leader to motivate his congregation, it’s much more than that — it’s any pastor’s giving story. And it’s a story that you should be able to tell, too. A giving story is the testimony of the transformational work God has done in someone’s heart when it comes to giving — whether it’s moving from obligation to giving cheerfully, or the process of overcoming debt by following godly financial principles. Your giving story, pastor, is where it all begins for your church. Simply put, generous churches are led by generous pastors. This doesn’t mean a pastor must be the single most generous person in the church — or portray himself as that. It means that a pastor is on a journey of generosity, rather than in a place of stagnant giving, just like his church. Talking about how and why the Lord has led you in that journey starts the conversation among your people. The authenticity of a pastor’s giving story and the emphasis that he puts on his generosity journey has a direct correlation to developing a strong body of givers. Before moving on (or losing you here), we must address two excuses: “I don’t have a giving story,” or “I don’t give enough to share about it.” Surprisingly, both are commonly heard but are steps — not barriers — to developing your giving story. For the former, ask yourself how and when God changed or developed your heart toward giving, stewardship and partnering with him in your finances. Addressing the latter is of utmost importance. Resources from Dave Ramsey’s Financial Peace University are a great place to start. Once you overcome financial burdens to give freely, your story is that much more important to share with your congregation. You are a walking example that generosity is the call for every believer, and it is a journey, no matter financial status or position. your church to embrace, it’s crucial that the pastor is surrounded by a team who advances a culture of generosity. Your leadership team must make generosity a personal priority and share it like you do. They are on the front lines supporting the vision, answering questions, and often times, defending against pushback. Staff members who share their giving stories and encourage the conversation around giving will further weave generosity into the fabric of your church. Intentionally empower your staff to share their stories. This includes identifying generosity, and the conversation around it, as a priority alongside other mission statements and values year-round, not just around capital campaigns or giving seasons. In staff meetings, regularly ask team members to share their stories. It’s great practice, and it emphasizes the conversation around generosity as a priority. This might feel like a pop quiz at first, but it will quickly become a natural way for leaders to reflect on and share how God is using their gifts to advance the Kingdom. 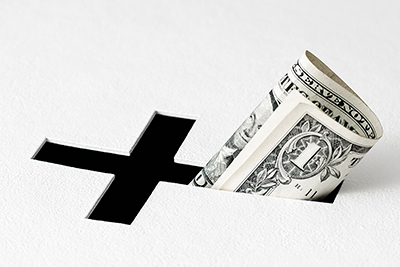 Developing generosity in your church starts with you, pastor, and then extends to your staff. But, developing lasting and generous givers is contingent upon your communication with your congregation. For a lot of churches, the information and awareness aspect of financial giving is an area for massive improvement. We want to see giving coming from a generous heart, and that comes from establishing practices that regularly and intentionally affirm the decisions of members to give to the local church. Even for many mature givers, giving to the church has become a choice, and not “the” choice. It’s just one choice amongst others that one can make to give to the Kingdom rather than the foundation from which all other giving choices flow. Every person in your congregation is bombarded with messages from countless other good organizations about how and why to give to them. 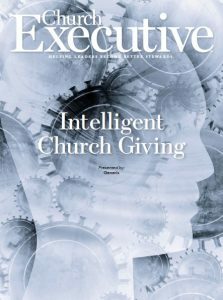 Often, the church’s message is implied, nonexistent or laden with “should” and “oughts.” The church is given 52 opportunities throughout the year to put itself on display to its members — to share its priorities and mission, how it stewards its finances, and how it’s winning in the world. In other words, what happens when you give here? • Share theology that supports giving as the mark of a mature faith. • Use impact stories to connect life transformation to their gifts and offerings. • Leverage every offering moment as a dynamic opportunity to communicate the sanctity of giving as an act of worship and obedience, not a stale, rote time. • Provide varied and up-to-date ways to give, and consistently and clearly communicate how to use them. The bottom line, pastor, is that a generous church is led by a generous pastor. There is no getting around it. Your voice on this important facet of spiritual development matters — it matters for your people, for the health of your church, and for the advancement of the Kingdom in your community. Jim Sheppard, principal and CEO of Generis, has walked alongside hundreds of pastors to develop generous church cultures. To learn more about the consulting services of Generis and how its team can partner with you and your church to fund your Kingdom vision, visit generis.com.